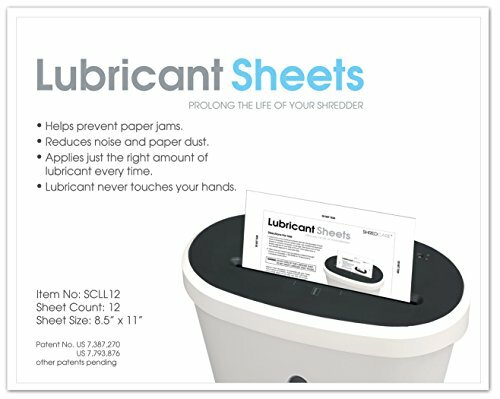 Shredcare shredder Lubricant sheets, 6"x8", 12-pack helps prevent paper jams. Reduces noise and paper dust. Applies just the right amount of Lubricant every time. Lubricant never touches your hands. If you have any questions about this product by Shredcare, contact us by completing and submitting the form below. If you are looking for a specif part number, please include it with your message.